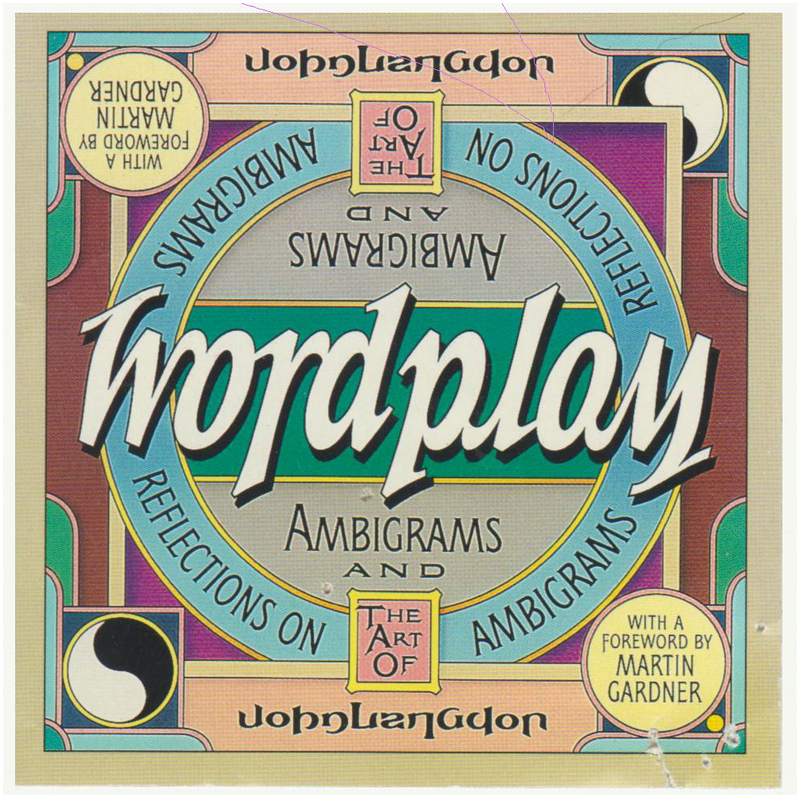 Ambigrams. Rotate the art 180° and it still reads the same! 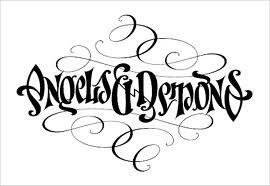 Remember the Angels & Demons logo for Dan Brown’s book and film? 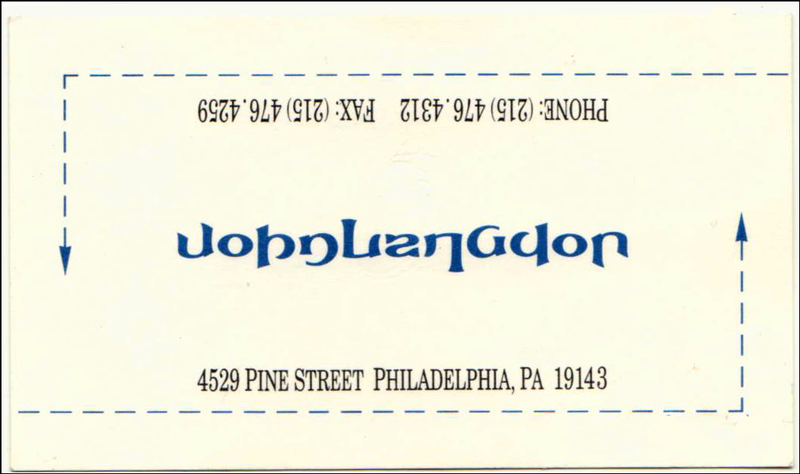 John Langdon created it. John and I met 15 years ago when we were both exhibiting at a big trade show in New York City. We were impressed with each other’s optical illusion fun. We exchanged cards and talked of exchanging products. Can’t recall if we ever actually followed through though. John’s inevitable success was obvious even then. But I recently discovered to my surprise he didn’t invent the art. The earliest known ambigram dates 100 years before! Wikipedia’s ambigrams page (see excerpt below) has a good history of the technique. And here’s an ambigram generator. Don’t get too excited though about the generator. What it puts out is at best a starting point. 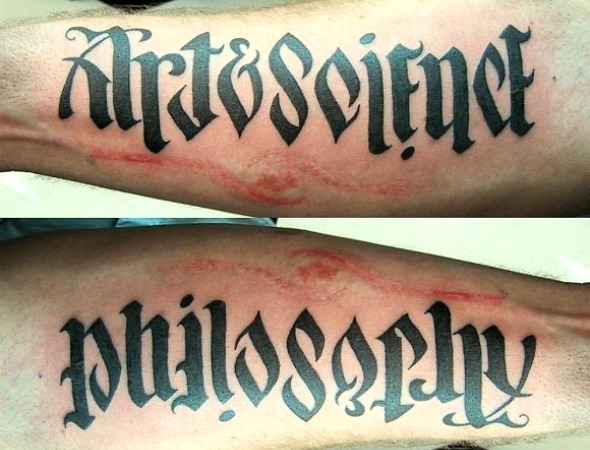 It needs the refinement of a sensitive ambigram artist like John Langdon. Or maybe you, yourself? Give it a try! Please share your wordplay with me.